The Raptors could be looking to trade for another star player. 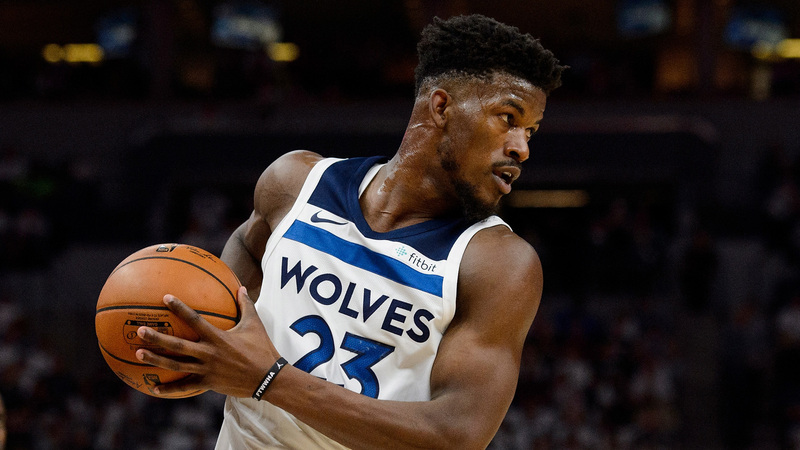 Toronto has shown interest in dealing for disgruntled Timberwolves star Jimmy Butler, according to a report from Minnesota station 5 Eyewitness News. Minnesota has told at least one team it believes it can receive a “good player back” in return for Butler, the report says. The Raptors acquired Kawhi Leonard, along with Danny Green, from the Spurs earlier this offseason in exchange for a package centered around DeMar DeRozan. Butler reportedly requested a trade out of Minnesota last week. He could become an unrestricted free agent next summer if he declines his player option for 2019-20. The Cavaliers have also inquired about Butler, according to an earlier report from ESPN. He reportedly told the Timberwolves he preferred to be dealt to either the Nets, Clippers or Knicks. Butler averaged 22.2 points and 5.3 rebounds in 59 games with Minnesota last season. He also shot 35 percent from 3-point range.